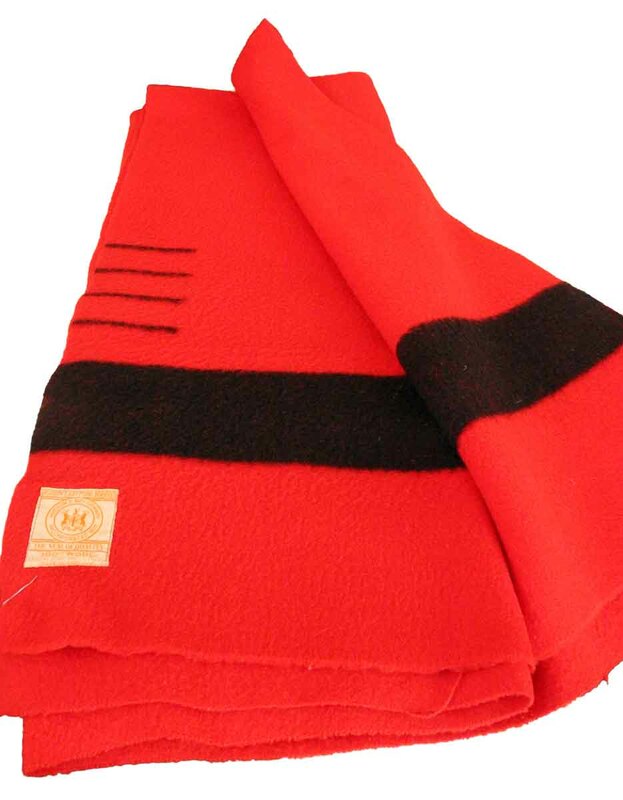 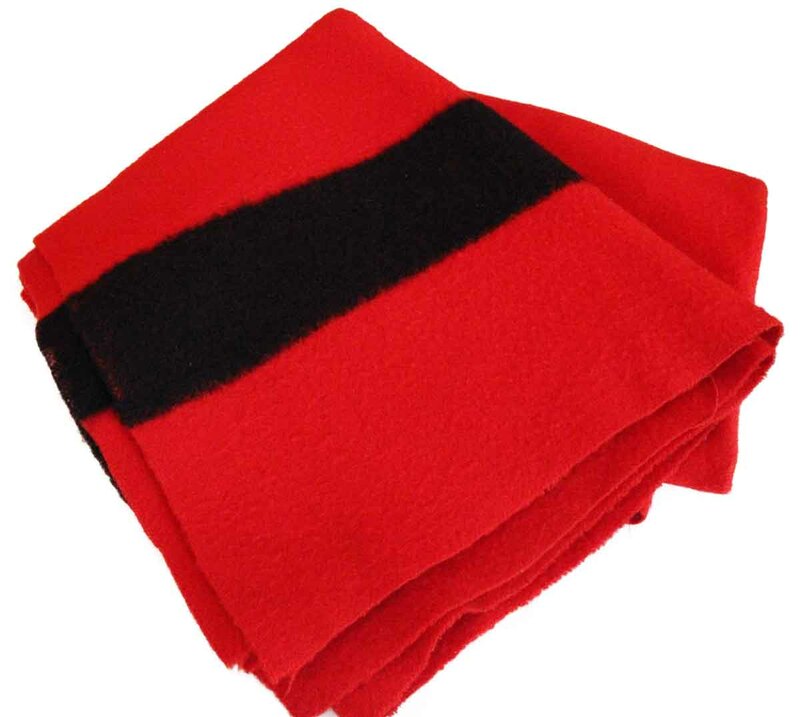 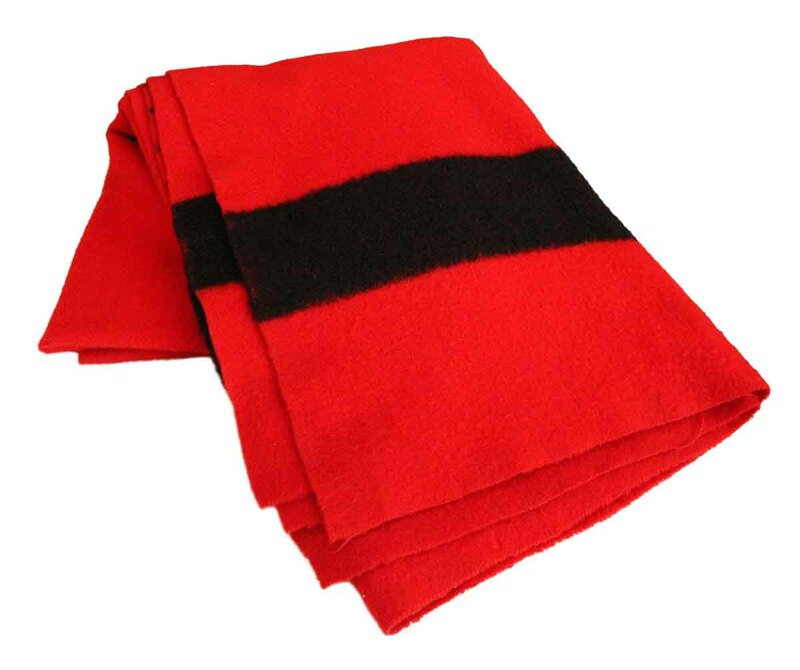 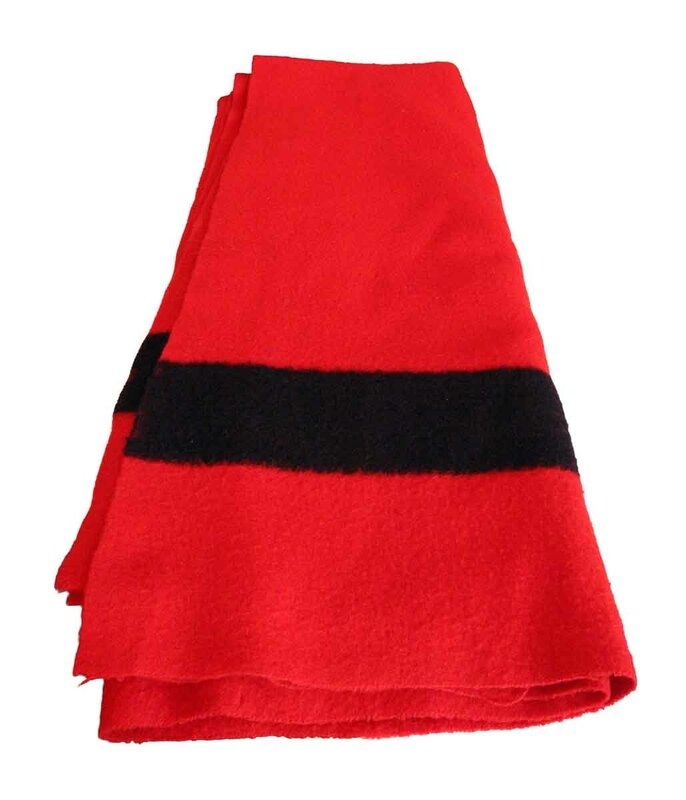 Nicely worn red wool blanket with black bands, made by the Hudson Bay Company in England. 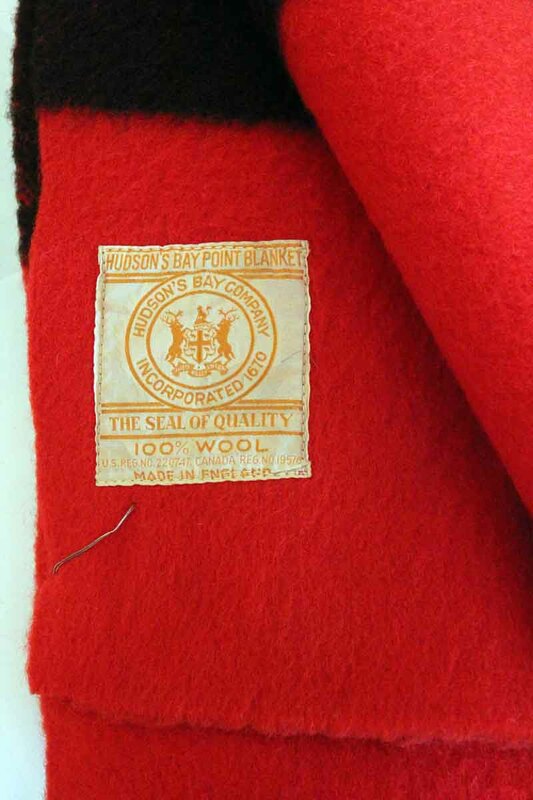 Hudson Bay Company was founded in 1670 to facilitate trade with the American Indians. Originally, four bands would indicate this wool blanket was worth four beaver pelts.